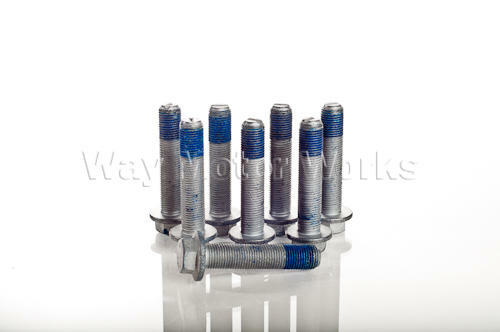 Stock Flywheel Bolt set for 2002-2006 R53 MINI Cooper S & JCW and 2005-2008 R52 MINI Cooper S Cabrio & JCW. Anytime you remove the stock flywheel from the MINI these bolts should be replaced. This is a complete set of 8 OEM MINI bolts with the factory loctite on them. Sold as a set of 8 enough for one MINI Cooper S.